Dern, 6-0 as a professional MMA fighter, made her UFC debut in March, winning by split decision over Ashley Yoder. That bout was fought at strawweight and Dern made weight in the button. “Me speakie no Engleesh,” in a Portuguese accent. While Dern is obviously American and has been documented speaking perfect English on a number of occasions in the past, her transition to fully-fledged Brazilian has seen her undergo radical changes. It is unclear whether Dern has undergone nationality-reassignment surgery but the rumors are that she has fully-embraced being a Brazilian. 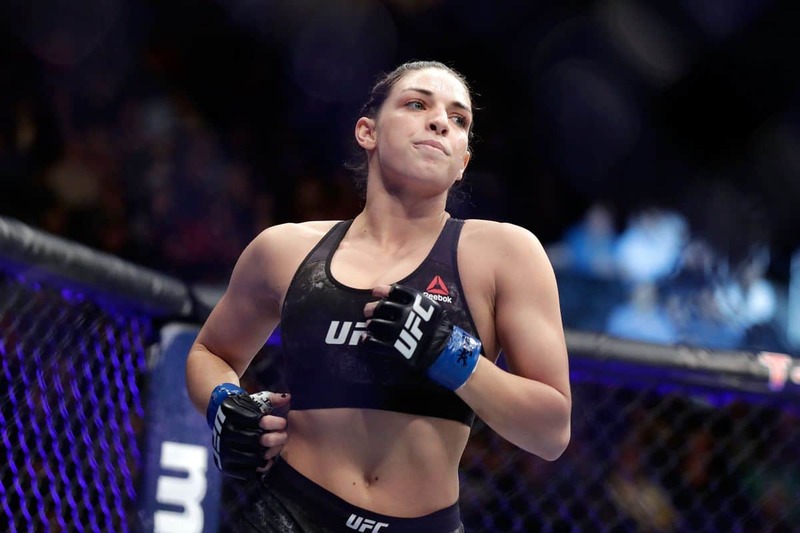 Cooper was allegedly heard shouting towards Dern following the weigh-ins, with what many believed to be insults in English. Dern, who seemed unfazed at the barbs thrown by her opponent, allegedly shrugged her shoulders and pointed towards her team of Portuguese-to-English interpreters before looking insulted and slightly angry. “I…speakiee…no…English,” was Dern’s response, before she opened a bag of fast food and proceeded to swallow the contents whole.